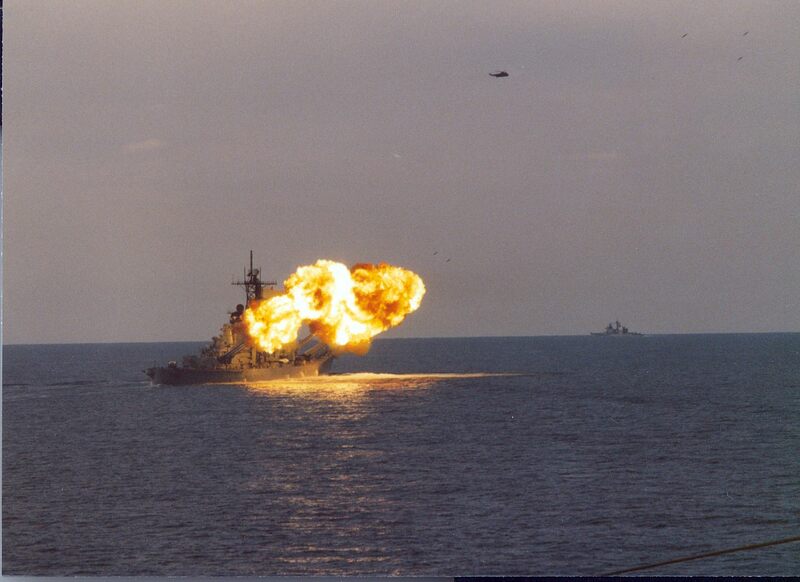 USS Iowa (BB-61) in the Gulf of Sidra in 1987 during FON operations. Thanks to Steve for the pic. He was onboard the USS SARATOGA (CV-60) when the Iowa did a GUNEX.